Top Rated. 5-Stars. 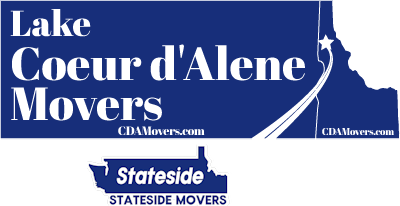 Serving Idaho with Professional Moving to or from Coeur d'Alene. Call Today. Free Quotes! Personalized, Five Star Service. Welcome to Lake Coeur d'Alene Movers. Looking to move your household or business to or from Idaho? We are an experienced North Idaho moving company, with our headquarters in Coeur d'Alene, experienced in moving across North Idaho, Central and South East Idaho, and interstate, and can easily tackle your moving needs. We are not a corporate owned national van line and will not put your belongings on a semi-trailer with other customers' belongings. Many people moving across the country have had horrible experiences with national van lines when mishaps occur at trucking yards. Did you know that your belongings can end up stuck in a trucking yard for several weeks at a time? Or did you know that your belongings are more likely to be damaged if they have to be moved to a different truck by low paid warehouse workers who don't care much about you or even their jobs? Your fragile glassware, china, electronics, and furniture are more likely to be damaged and many people have had this happen over the years. At Lake Coeur d'Alene Movers, we are a full service moving company local to Idaho (and nearby Washington State) near the stateline and as a long distance mover we do not work the same way the national van lines do. 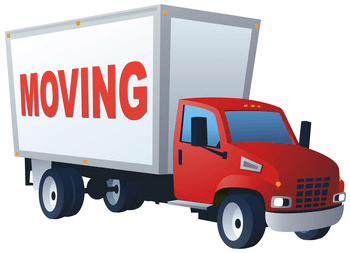 Your belongings will be transported by themselves, on a full size box truck (or multiple box trucks depending on the size of your move) and not placed on a semi truck with other customers belongings. This gives you the peace of mind that your belongings will not get held up by an out of state trucking yard being handled by low paid warehouse workers. Our movers are professional and our company is licensed and insured for long distance moving interstate to or from Idaho and or another western state. Where ever you are moving in the west, we can get you there, sometimes beating the national moving companies by $2000 or more. We are a smaller company with a lot less overhead, our team members are paid extremely well, and our goal is to do a great job that goes above and beyond for every customer. Call us today at (208) 770-0845 or request a free quote online at the link below. Want to save a lot of time, stress, and effort on packing your home? Our optional Idaho packing service means we can arrive a day or two prior to your move and proceed to professionally pack your entire home, including your glassware, china, knick knacks, artwork, clothing, and just about everything you own and want shipped in a box. Let us know your needs beforehand and we will walk you through the process of getting this done affordably and efficiently. 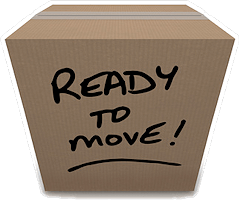 When You're Ready for Idaho Moving, Call Us! Use your smart phone or other mobile device to text us for a free quote at (208) 770-0845 or Click here for a free estimate today on professional Idaho moving services both in-town and long distance moving.